Although we may really like our smart devices, we don’t always want to be pestered by them and the rest of the world with which they connect. And when it comes to driving, I don’t think the importance of staying focused without distractions can be stressed enough. Tragic events can unfold quickly at highway speeds, and our best (and sometimes only) defense is to remain vigilant and watchful. Apple realizes how important it is to remain undistracted at times, and in iOS 11 they even added a great feature to help you remain undistracted while driving. 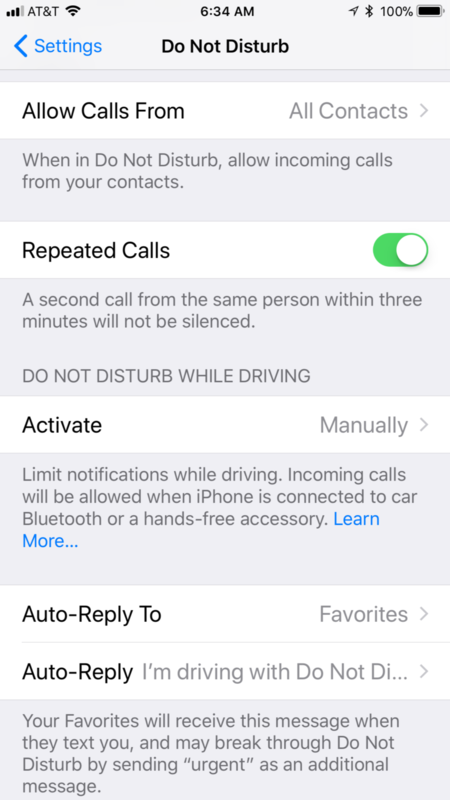 But how do you use the iPhone Do Not Disturb (DND) feature best, especially while driving? Let’s take a look at DND in general and how we can best use it to our advantage. All iPhones and tablets running iOS 11 have the capability to smartly manage your incoming notifications while you are behind the wheel as well as other times in your busy schedule. The good news is that you just have to decide how you want to use it and turn it on. 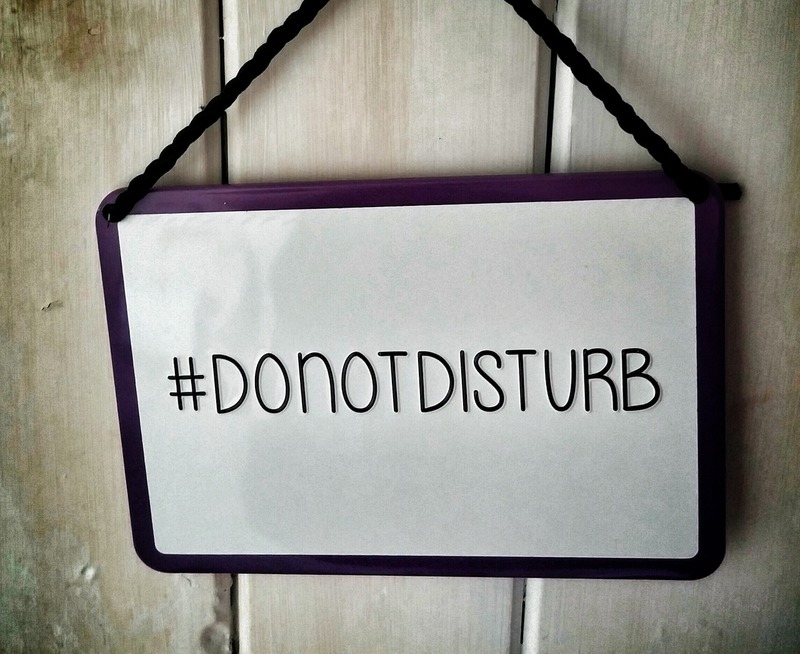 But there are several options to consider when using the iPhone Do Not Disturb. First things first, turn on DND. Go to Settings / Do Not Disturb. Once there, you will want to activate the iPhone Do Not Disturb feature. This setting is at the top of the options on the DND settings page, which is where you should be now. Toggling it on now will activate DND. But you may notice that there are a lot of options on that page, so which ones do you select for your individual needs? Let’s take a look. 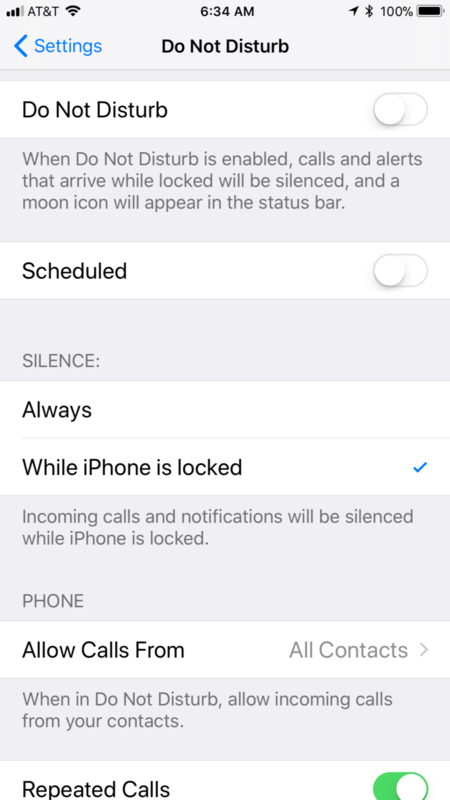 Scheduled: This option allows you to select the time that the iPhone Do Not Disturb is active. This can be a very handy way to select when you don’t want to be disturbed while your focus is elsewhere, or even trying to unwind or sleep. And of course, if you tend to drive on a regular schedule this would also work to avoid distractions while driving. But there are other settings listed below that are more suited specifically to driving. 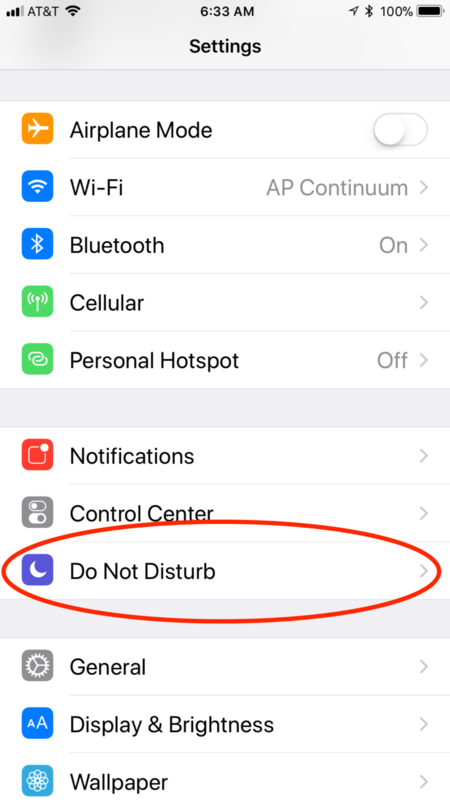 Silence: This setting defines the difference between how the iPhone Do Not disturb works when you are using the device or otherwise. The settings here are either Always silent or only while the iPhone is locked. That is, if you are using the iPhone while DND is on, should it remain silent. 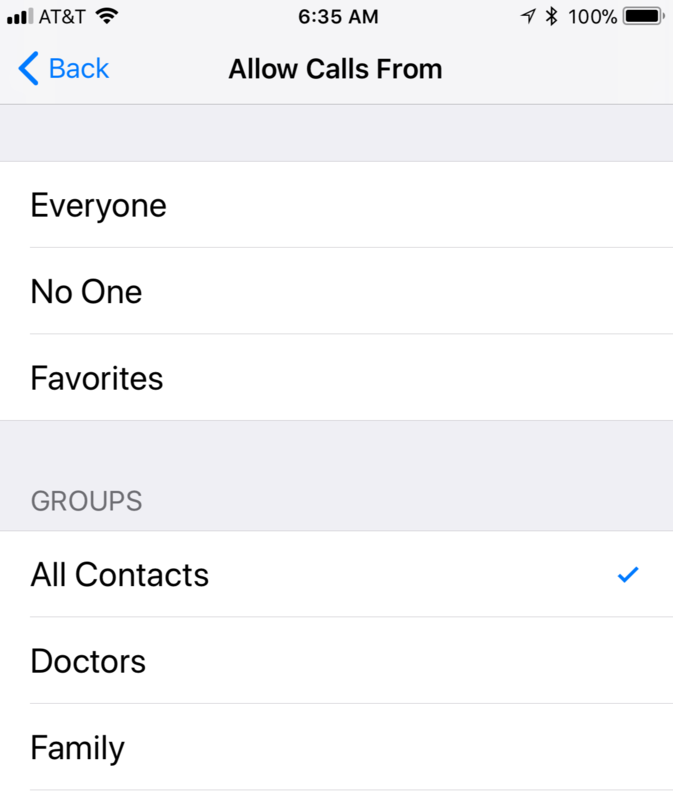 Allow Calls From: Here is where you select who can still call you when the iPhone Do Not Disturb is active. You probably don’t want everyone to be able to call you when DND is active so you can select individual groups or favorites to automatically be able to all you. Repeated Calls: Toggle this on if you want repeated calls to get through the iPhone Do Not Disturb wall. This might be a good idea in case of an emergency. 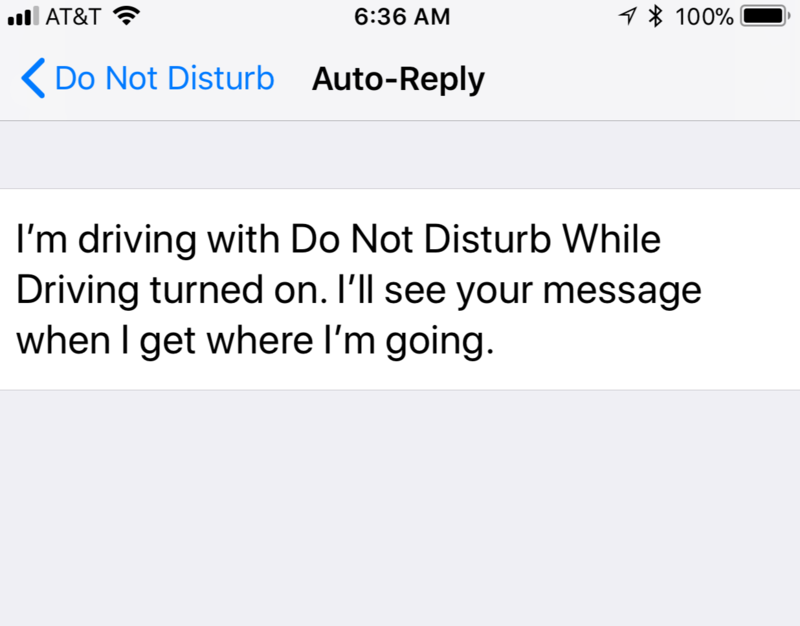 Do Not disturb While Driving: Now we are at the new iOS 11 options specifically for driving. When you select activate from this section, you are presented with the choices of “Automatically”, “When Connected to Car Bluetooth”, and “Manually”. Automatically lets the iPhone, through its internal sensors, determine that you are inside of a moving vehicle. 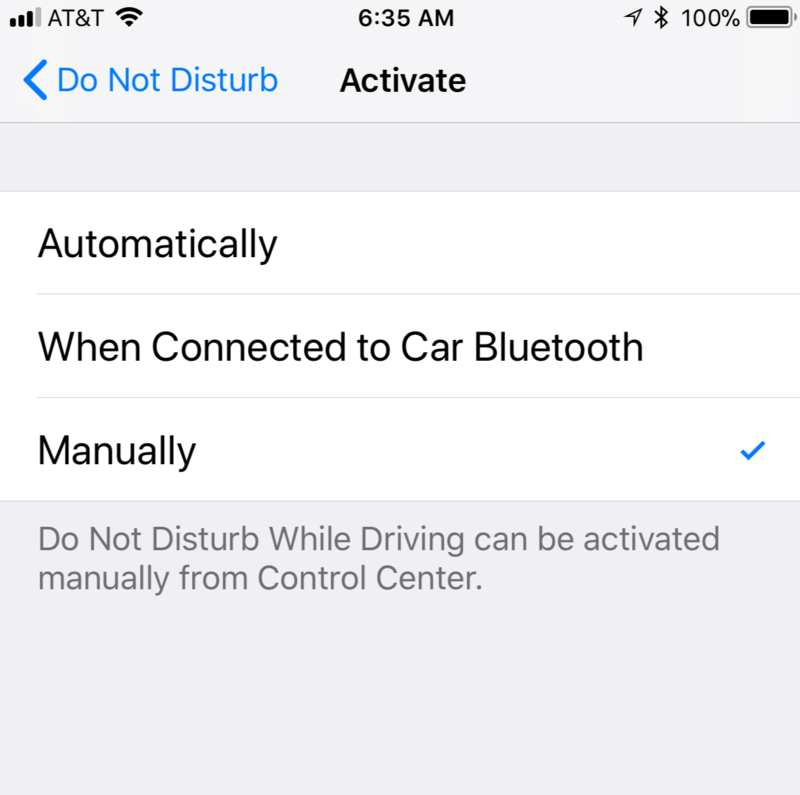 If you drive by yourself and don’t use Bluetooth to connect your iPhone to your car this might be the best setting for safety. And if it automatically toggles on while being a passenger, you can easily toggle it off through the presented dialog. “When Connected to Car Bluetooth” is probably the best choice for anyone that normally lets their iPhone pair with their vehicle. This means that as soon as the iPhone connects DND will be activated, and it will automatically deactivate when you exit the vehicle or turn it off. It also adds the greatest flexibility when you are a passenger, since more than likely your iPhone won’t be the one currently connected to the car’s Bluetooth system. Finally, “Manual” is the default setting, which defaults back to the other options for DND. 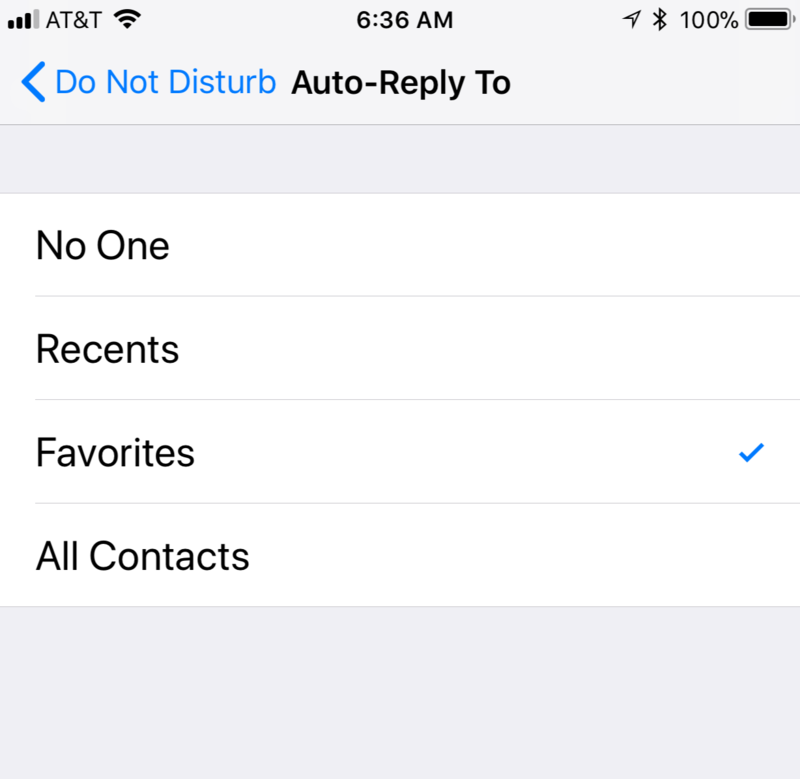 Auto-Reply To: This setting determines who should receive a text message reply when they try to message you while the iPhone Do Not Disturb is active. You can select who gets your pre-set response message (set in the next paragraph), but in many cases it doesn’t hurt to just wait until you have a chance to do a proper reply. Auto-Reply: This is where you set your pre-set response for a text message while using DND. You can set it to whatever you would like to say, but there is one feature that you might want to mention in your message. That is, if anyone messages you back with the word “urgent” in it, the message will get through the DND gatekeeper. You could mention this in your autoreply, or at least let those close to you know that this is an option. As you can see, the iPhone Do Not Disturb features in iOS 11 are rather robust, and it will allow you to select when you don’t want to be disturbed. But by using these features in focus demanding situations, such as driving, it can make a difference in how safe you can stay with your device. I hope you find that these features make your smart device experience more manageable and safer.